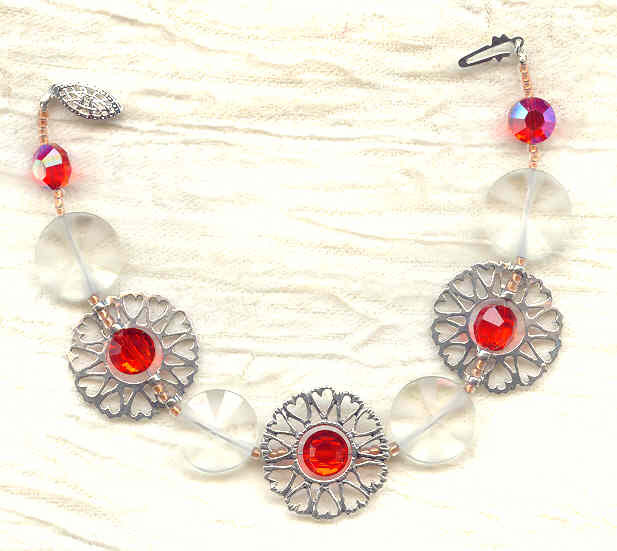 In this magnificent bead bracelet, vintage flame red Swarovski crystals fit neatly into the centres of the three sterling silver circles of hearts. 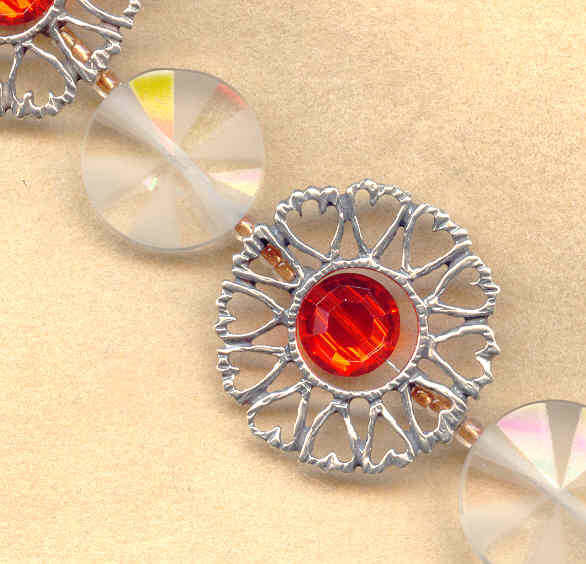 The crystal beads are flat rounds (often called 'aspirin beads'), with an astounding aurora boreale finish. 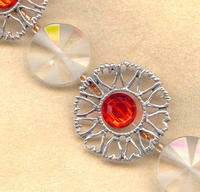 The bead bracelet also features quartz coins with rays that alternate between clear and frosty matte. This 7-3/4" long bodacious bead bracelet closes with a sterling silver safety clasp. Both beautiful and innovative; must be from SPARKLE PLENTY. Intense flame red enamel and crystal stand out against opaque white like fire against snow in this stunning jewelry set.